The Science of Sound from the Tesla Science Center is with us for two more weeks. Saturday, April 20, we feature a singing Tesla Coil. 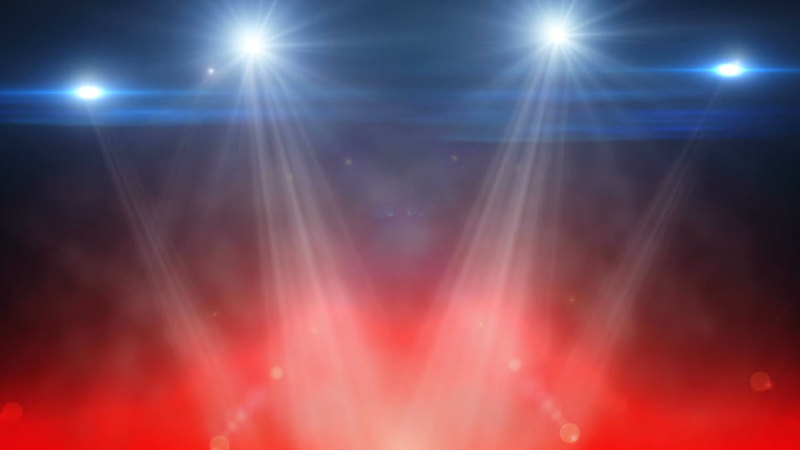 Come in and experience musical lightening, and a variety of voice and vibration devices. It's the last week to tinker around with the "Science of Sound," on loan to us from the Tesla Science Center. On Sunday, April 28, 1:30 -3:30, use the theremin player to make beautiful sounds. Play with the voice and vibration devices all afternoon! 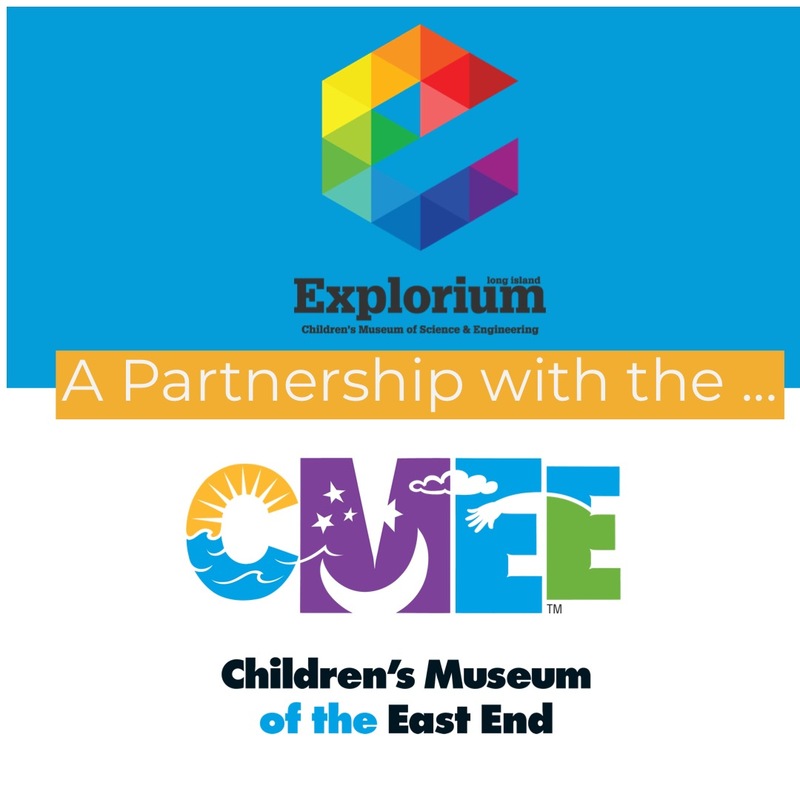 From April 1st, 2019 through May 31, 2019, members of the Long Island Explorium will be able to visit both the Long Island Explorium and the Children's Museum of the East End at no additional charge! Explore all the fun and exciting exhibits and programs that these two museums have to offer. If you are not a member, join today! Enjoy this incredible benefit before it ends. April 18th-22nd - enjoy a week of Science, Art and Nature! This immersive camp experience gets campers outside and exploring. FIVE days of unique STEAM experiences! You can register for 1 or 2 or ALL 5 days. Deadline for registration: April 15th. Learn more about what makes our Maker Spotlight and about our incredible makers on a Maker Spotlight Page. The Stony Brook University Graduate Education Outreach (GEO) Club returns to help us design, construct, and test our own catapults using some cool, but common materials. We'll consider the art of design and the physics of launching in this hands-on engineering challenge. Tickets are on sale now for the 2019 Eastern Long Island Mini Maker Faire! Purchase your tickets now for early registration to our most in demand workshops. Purchase your tickets today for this extraordinary day of fun. We work to advance STEAM concepts that translate into skills to address social, economic and environmental issues. We’re gearing up for our for 2019 Eastern Long Island Mini Maker Faire! We’re looking for Makers to showcase their creations and Volunteers to make the event a success. The future belongs to the CURIOUS. The ones who are not afraid to TRY it, EXPLORE it, POKE at it, QUESTION it, and TURN it inside out. Children are not empty vessels to be filled with knowledge by teachers; but rather continually constructing their own knowledge. Constructivist teaching invites learners to consider socially important, relevant challenges and endeavors. Failure is not a bad thing. It helps us to develop ‘GRIT’. Grit is a distinct combination of passion, resilience, determination, and focus that allows a person to maintain the discipline and optimism to persevere in their goals even in the face of discomfort, rejection, and a lack of visible progress for years, or even decades. Through play children can learn to make sense of the world around them. Play helps children to develop social and cognitive skills, mature emotionally, and gain the self-confidence required to engage in new experiences and environments. Here's what's happening in April. Regular Public Hours in effect. Sat-Sun, 1 - 5 pm. We debut our visiting exhibit from the Tesla Science Center. Join us in discovering the "Science of Sound" through the inventions of the great scientist Nikola Tesla. This weekend, 1:30pm -3:30pm, get hands-on with a singing Telsa coil. Experience musical lightening. Play with voice and vibration devices, and more, all afternoon. Celebrate Dr Seuss’s March birthday by investigating oobleck and all of the unusual things it can do. March 9th: Maker Spotlight: Moira Chas, SBU mathematician. Celebrate Pi Day with Stony Brook University mathemetician Moira Chas from 1:30-3:30pm. Bas-Relief Paintings (2 week project) We will explore fun and creative ways to add texture and relief in a painting! March 16th -17th: Happy St. Patrick’s Day! Be a green engineer and design a trap to lure lost leprechauns. We want to safely transport the leprechauns to their pots of gold in the land of rainbows. Ever stitch with a sewing machine or a big plastic needle? Come join us and create your own fabric art with our resident artist, Ms. Ama. Have you ever painted with fabric? We will create a still life with different color textiles and fibers. Create a message in a bottle. Design a heartfelt note for someone you respect, appreciate, or value. Stony Brook University’s Biomedical Engineering students are back for the SECOND monthly STEM club! Stop by and check out the exciting investigation they have in store for us. Potato Astronauts: Design and test spacesuits for “Potato Astronauts” with Stony Brook University’s Graduate Education Outreach Club. Jan. 5th-6th: Let’s set things in motion using chemistry! Become an oceanographer and discover how density is used to study the ocean by creating your own ocean in a lava lamp. Jan. 12th-13th: Have fun with Ozobots! Robots that you can code, create and play with in endless possibilities. In honor of this day, let’s create works of art that celebrate the beauty and diversity of each and everyone all weekend. We will be exploring the possibilities of transforming paper into tri-dimensional forms to create a sculpture. Jan. 26th -27th: Color Chromatography! Discover the science of colors by finding hidden colors in water-soluble makers. Dec. 8th-9th: Let’s Celebrate Light! Explore patterns while creating a luminary to light your path. Dec. 15th - Dec. 16th: Let’s Celebrate Snow! Explore the science of snowflakes and make one to take home! Dec. 22-23, Dec. 26-31: Let’s Celebrate the New Year! Nov. 3rd-4th: How To Say “Communicate With Me” in nine languages! Learn how nanotechnology is used in communication, explore the International Code of Signals, design your own code to use with friends and send messages!! One of our favorite Makers is BACK! Ray Rumore of Ray's Robots will be at the Explorium on Saturday, Nov. 3 at 1:30pm till 3pm. Come join him and build your own "Bristle Bot". While Supplies Last! All members are invited to come join us on Nov. 3rd from 10:30 am -12 noon. Come enjoy some Halloween fun and games, a bagel brunch and of course,all the Explorium has to offer. Come dressed in a costume and get a goody bag to go. Nov. 10th-12th: Wanted: FBI Agents for Fingerprinting! Use our materials to practice your skills in Forensic Science! Make all kinds of “prints” that are uniquely yours! Discover the “Animal Prints” of various animals as they leave their tracks when they gather their food for the winter! Create your own prints as you create their natural habitats! Come join us as we welcome special guests from Oceanswide on Sunday, Nov 18th at 1:30-3:30pm. Join Marine Archaeology Divers for an interactive activity and become marine archaeologists to discover what happened to the sunken ship many years ago. Let’s uncover some buried treasure! Nov. 21st, 23rd-25th: Let’s Celebrate Nature! Patterns, pattern, Patterns everywhere! Discover how nature beautifully illustrates the Fibonacci sequence. Have fun creating beautiful keepsakes using patterns from Nature. Let’s celebrate this year’s Earth Science Week with the theme of “Earth as Inspiration”. We’re going to discover the reasons why an earthquake happens. Do you know which earthquake happened on your birthday? Let’s find out! It’s National Chemistry Week- Chemistry is OUT of this World! As one of only 250 organizations nationwide to receive the National Informal Science Education Chemistry kits, let’s have some fun with wacky chemistry activities! We all have a favorite old t-shirt/s.Let’s create a fun bag to collect our favorite candies for Halloween and reuse our handmade bags ALL year round. Bring your own t-shirt. All members are invited to come join us on Oct.27th from 10:30 am -12 noon. Come enjoy some Halloween fun and games, a bagel brunch and of course,all the Explorium has to offer. Come dressed in a costume and get a goody bag to go. Sept 8-9: What kind of house would a robot like to live in? Come build a "house" for Vernie, our Lego robot to live and have fun in at the Explorium! I bet he would love a "rollercoaster" in his bedroom! Sept 15-16: Sad summer is over? Well, not at the Explorium! Come join us as we explore our beautiful Port Jefferson Harbor front and do some late summer gardening. Special exploration program on Sept 16th at 1:30pm and 3 pm. First come, first serve. Sept 22-23: NO more straws! Let's keep straws out of our landfill. We're going to "Recycle, Reuse, Repurpose" straws into creative inventions. Sept 29-30: Come have fun with Little Bits! Build a "Bubble Bot". Build your own bubble blowing contraptions while learning about circuits and invention! Let your imagination guide your next invention! August 1-5: Are you having fun with your shadow like Moonbear? Come join us as we investigate, play, and try to “scare” away our shadows! August 8-12: Let’s have fun with that A in STEAM and create a “Masterpiece” using shore materials. (Camp Week) Will you design and build a statue from natural materials, a collage of garbage that has no place on our beaches, a beautiful necklace out of shells? Or do you have another idea in mind? August 15-19: Come and visit our beautiful native plant garden in full bloom. Borrow an exploration “backpack” from the Explorium and be a ‘plant detective’! Make your own fishing pole with a magnet to lure and attract your own fish! How big a fish can you catch? What “bait” works best? Build a structure that spans our “river” and supports as much weight as possible! July 5-8: It's "Patriotic Polymer" Time! Make the perfect Patriotic Phlubber using the materials provided. Design and Construct a Car using recycled Materials. July 18-22: Bait Your Hook! Design Bait that attracts fish. Design a Rocky Shoreline with a Lighthouse to keep ships safe. June 2: Create Paper Mountains as you experience the dynamics of the pull of gravity. June 3: Experience the Strong Protective Magnetic Field of our Planet Earth. The Greatest Show and Tell on Earth! 10 am – 5 pm, Port Jefferson Village Center, Harborfront and Long Island Explorium. June 10: Design and Create a Model to illustrate the different Phases of the Moon. June 16-17: Happy Fathers Day! Using a variety of materials, design ,create, and Launch a Rocket with your Dad! Join us to design and construct Homes for Invertebrates using Native Plant Materials. Discover the Science behind Ice Cream as you Measure, Shake,and Taste your Ice Cream. Design a Transit Method to assist NASA scientists’ search for distant planets. May 5: Ray and his robot “ Volt”. Write a Heartfelt message and place in a decorated bottle for a Keepsake for your Mother. Design, build, and test a tool to discover new discoveries to better understand the Universe. Create exciting new uses for your water bottles as you Recycle, Reuse, and Recreate them into interesting new creations. Create a Sounding Rocket and “Stomp” your Scientific Research questions into Space! Join Aja Rose on Saturday, April 7th to see models and photographs of some of the equipment and activities used in the Apollo missions to the moon. View 7 minutes of terror, a short film about the landing of the Mars rover “Curiosity” and the seven minutes where the engineers and scientists watch to see if their many years of hard work and programming was successful in being able to land a rover on Mars. Then build your own lunar rover that can travel over rough terrain and carry a payload! Join us and solve the mystery of growing Native Plants. April 21-22: Celebrate EARTH DAY with us! Observe the water cycle in your own plant habitats! Explore various species of butterflies by creating your own butterfly feeder!